Quintessentially British design and exquisite craftmanship combine with the vintage-inspired Emmy London collection. Understated yet undeniably elegant, crafted in 18ct white gold this 0.25ct diamond ring exudes refined luxury. 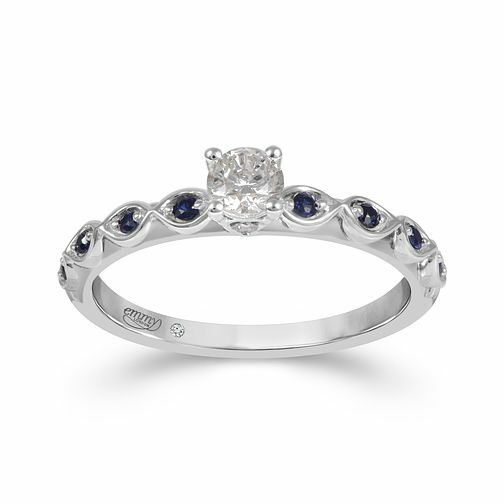 The band delicately holds a set of sapphire's that beautifully complement the tone of the central stone. Featuring I1 certified diamonds and an independent GSI certificate.